Two weeks ago at E3 2016 in Los Angeles, Xbox shared more new hardware like Xbox One S and Xbox Design Lab, more new Xbox Live features across Xbox One and Windows 10, and the biggest lineup of exclusive games than any E3 in Xbox history. But more importantly even than the amazing year in front of Xbox gamers, Xbox laid out a vision that will give gamers more innovation and more choice than ever before. 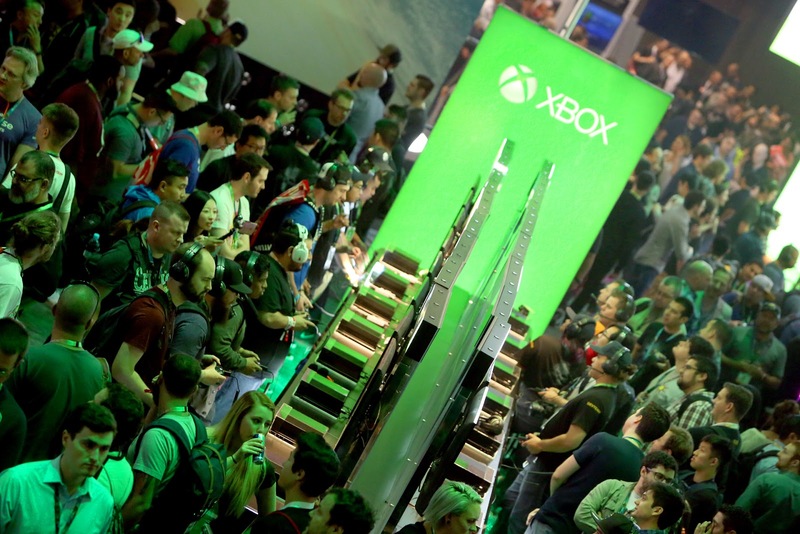 Xbox wants to take gaming forward to new heights, as Xbox has always sought to do, and what Xbox shared at E3 2016 serves as a key milestone toward that future of innovation and choice we believe gamers deserve. At Xbox, they see a future full of choice – choice to play the games you want, with the people you want, on the devices you want. A future beyond console generations, where you can upgrade your experience on your own timeline without missing out on the newest games or shared experiences with your friends. - The Xbox E3 2016 Briefing was viewed over 6.6M times, an increase of 78% over last year and our most viewed live event to date. - During the week of E3, videos shared on the Xbox YouTube channel were viewed over 27M times, a massive increase of 184% over E3 2015. - Xbox received hundreds of E3 award nominations and wins from global outlets including IGN, Game Informer, Toronto Sun (CA), USA Today, Atomix (MX) and Polygon. - In excess of 340,000 unique, customized controllers were created and saved in the all-new Xbox Design Lab. - The “Friendly Update” for Minecraft that delivered Minecraft Realms to mobile and Windows 10 devices, has seen over 4M people play together across Minecraft: Pocket Edition and Minecraft: Windows 10 Edition via Xbox Live. - Over 4M friendships were forged and 90M hours of multiplayer were played on Xbox Live during the week of E3 – that’s more friends than the whole population of Panama and over 10,000 years of consecutive gaming. - The response to the Halo Wars 2 Beta exceeded expectations with over 1M matches played, totaling more than 1.2M gameplay hours. The data and feedback gathered will play a crucial role in the development of the game, ensuring Halo Wars 2 is the RTS for everyone when it launches on Feb. 21, 2017. - In excess of 2M fans engaged with the newly launched Xbox Snapchat channel, checking out exclusive updates from the show floor and behind-the-scenes demos. - On Twitter, #XboxE3 was tweeted over 400K times throughout the course of E3, trended as the #1 topic worldwide for over an hour and a half, and was the most tweeted of any Xbox hashtag. All told, your passion and excitement during E3 marked a big week for all of us the here at Xbox, and in the months ahead, we’re committed to delivering the best games, the best gaming community and new hardware options to keep you engaged and excited. NEW HARDWARE: Starting at the new base price of $299 USD, Xbox One S is the smallest and most compact Xbox ever. The 40 percent smaller console has an internal power supply and supports 4K Ultra HD for Blu-ray movies and content streamed from partners like Netflix and Amazon Video. High Dynamic Range (HDR) support for video and gaming delivers richer, more luminous colors in games like “Gears of War 4.” The Xbox One S is available for pre-order now and will be in stores beginning in August. Pre-orders for the limited launch edition 2TB Xbox One S are off to an amazing start and it’s not just fans who are excited by the Xbox One S, retail partners are just as enthusiastic. Every Xbox One S sold comes with the new, Bluetooth enabled Xbox Wireless Controller, which is also available individually worldwide starting in August for $59.99 USD. Xbox Design Lab customized Xbox Wireless Controllers are open for orders now in the U.S., Canada and Puerto Rico for $79.99 USD; personalized laser engraving is also available for an additional $9.99. The Xbox Elite Wireless Controller – Gears of War 4 Limited Edition is available in very limited quantities in early October for $199.99 with pre-orders now at select retailers. NEW XBOX LIVE FEATURES: Starting this summer, Xbox One and the Xbox app will receive the first of two updates that will help you stay connected with friends on Xbox Live and enjoy even more games across your favorite devices. Cortana will come to Xbox One; will start to unify the Xbox and Windows Stores; will begin to introduce your top PC games with Game Hubs to Xbox Live; will enable Language Region Independence to give gamers the freedom to choose any supported language on Xbox One, regardless of their location; will enable background music playback, and more. These updates are crucial to giving fans around the world a great gaming experience wherever and whatever they play. See some of these new features in action in this video from Xbox Daily: LIVE @ E3. And coming later this year, Clubs, Looking for Group and Arena on Xbox Live will unite gamers together across different devices, and make competitive gaming more accessible and fun for all. Xbox has a lineup of games coming in 2016 and 2017 which to date have garnered hundreds of E3 award nominations and wins from media worldwide. Additionally, games like ReCore, Forza Horizon 3, Gears of War 4 and more will support Xbox Play Anywhere – where you digitally purchase the game once and you can play on both Xbox One and Windows 10 PCs, with your progress, game saves and achievements shared seamlessly across both platforms. - ARK: SURVIVAL EVOLVED (FIRST ON XBOX ONE AND WINDOWS 10). Available now on Xbox One via Game Preview, and coming soon to Windows 10. - MINECRAFT (REALMS AND ADD-ONS). Mojang and Microsoft showcased cross-device multiplayer between iOS, Android, Samsung Gear VR and Windows 10 devices, made possible with the “Friendly Update” featuring Minecraft Realms service for Minecraft: Windows 10 Edition Beta and Minecraft: Pocket Editionavailable now. New game add-ons coming this fall. - INSIDE (FIRST ON XBOX ONE). Available June 29, 2016 on Xbox One. - WE HAPPY FEW (FIRST TO CONSOLE ON XBOX ONE). Available on Xbox One via Game Preview starting July 26, 2016. - RECORE (XBOX ONE AND WINDOWS 10 EXCLUSIVE). Available worldwide as an Xbox Play Anywhere title starting Sept. 13, 2016. - FORZA HORIZON 3 (XBOX ONE AND WINDOWS 10 EXCLUSIVE). Available worldwide as an Xbox Play Anywhere title on Sept. 27, 2016. - GEARS OF WAR 4 (XBOX ONE AND WINDOWS 10 EXCLUSIVE). Available worldwide as an Xbox Play Anywhere title on Oct. 11, 2016. - DEAD RISING 4 (FIRST ON XBOX ONE AND WINDOWS 10). Available Dec. 6, 2016 on Xbox One and Windows 10. - CUPHEAD (XBOX ONE AND WINDOWS 10 EXCLUSIVE). Available on Xbox One and Windows 10 in 2016. - HALO WARS 2 (XBOX ONE AND WINDOWS 10 EXCLUSIVE). Available worldwide as an Xbox Play Anywhere title on Feb. 21, 2017. - STATE OF DECAY 2 (XBOX ONE AND WINDOWS 10 EXCLUSIVE). Available worldwide as an Xbox Play Anywhere title in 2017. - SCALEBOUND (XBOX ONE AND WINDOWS 10 EXCLUSIVE). Available worldwide as an Xbox Play Anywhere title in 2017. - SEA OF THIEVES (XBOX ONE AND WINDOWS 10 EXCLUSIVE). Available worldwide as an Xbox Play Anywhere title in 2017. Gamers will also find the year’s biggest third party blockbusters on Xbox One. New content for Tom Clancy’s The Division – Expansion I: Underground (Ubisoft) will arrive first on Xbox One and Windows 10 starting today.Battlefield 1 (Electronic Arts) will also arrive first exclusively on Xbox One with EA Access starting Oct. 13, followed by the game’s full worldwide release on Oct. 21. And from the makers of The Witcher 3: Wild Hunt,Gwent (CD Projekt RED) will launch in closed beta first on Xbox One and Windows 10 in 2016. And with titles including Madden NFL 17 (EA Sports), Titanfall 2 (Electronic Arts), FIFA 17 (EA Sports), Call of Duty: Infinite Warfare (Activision), NBA 2K17 (2K), Final Fantasy XV (Square Enix), Resident Evil 7 (Capcom) and so many more, there’s no doubt we’ve got the biggest blockbuster lineup of games in Xbox history coming this year. In addition to all the new games coming, we’re committed to helping carry your favorite games from your Xbox 360 library forward as well. Your response to Xbox One Backward Compatibility has been overwhelming – to date, gamers have spent more than 100M total hours playing Backward Compatible titles on Xbox One. We recently added Call of Duty: Black Ops, XCOM: Enemy Within and Portal 2 to the growing library of Backward Compatible games, now totaling 209 titles with many more on the way. "E3 was just the beginning. Led by an amazing lineup of games, the best community of gamers on Xbox Live, and new hardware choices, we laid out our vision for the future of gaming on Xbox, with you – the gamers – at the center of everything we do. With more exciting innovation coming to games, hardware and Live than ever before, beginning with the launch of the highly anticipated Tom Clancy’s The Division – Expansion 1: Underground today and Inside tomorrow, almost every single week through the end of this year we will be bringing fans something new and different to experience with Xbox. From any one of a huge variety of new exclusive and blockbuster games coming to Xbox One and Windows 10 to awesome new platform updates; fresh new hardware to great new Xbox Live offers - there’s never been a better time to be an Xbox gamer."